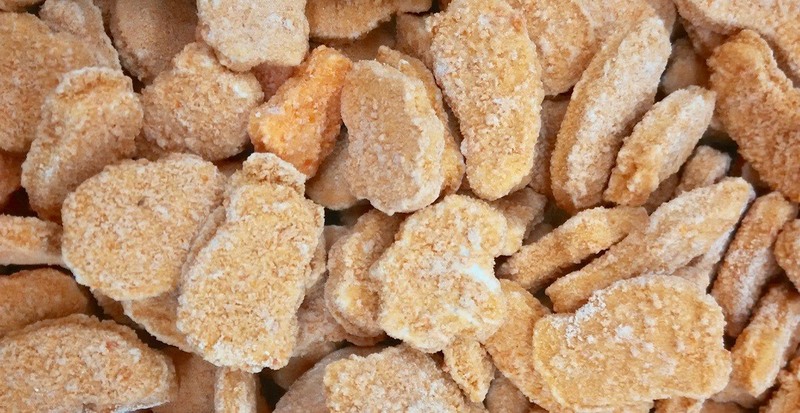 A Salmonella outbreak that has sickened dozens of people in 10 provinces has been linked back to frozen raw breaded chicken products. As of January 25, 2019, an active national outbreak investigation linked to raw chicken, including frozen raw breaded chicken products, has caused 54 cases of Salmonella in BC, Alberta, Saskatchewan, Manitoba, Ontario, Quebec, New Brunswick, Nova Scotia, Prince Edward Island, and Newfoundland and Labrador. 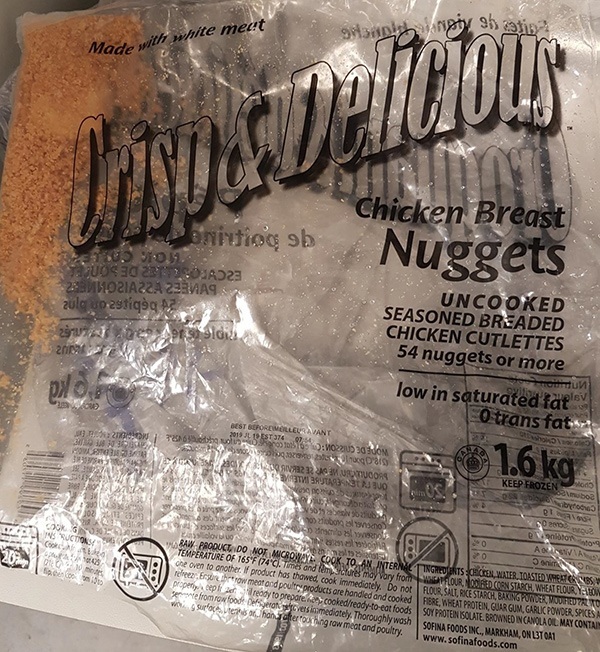 A recall has been issued for Crisp & Delicious Chicken Breast Nuggets (1.6kg) with a best before date of July 19, 2019 (UPC – 0 69299 11703 5), which is linked to the outbreak. This product was sold in BC, Manitoba, Ontario, Quebec, and may have been distributed in other provinces or territories. The product recall associated with the outbreak was issued January 25, 2019. Canadians who have this product are advised not to consume the recalled product, and retailers and restaurants are advised to not sell or serve the recalled product. None of the ill individuals have been hospitalized due to the outbreak and no deaths have been reported. Symptoms of a Salmonella infection typically start six to 72 hours after exposure to a contaminated product, and can include fever, chills, diarrhea, cramps, vomiting and nausea. Most people who become ill from an infection will fully recover in a few days, according to health officials, although individuals can be infectious for up to several weeks. Infants, children, seniors and people with weakened immune systems are most at risk for serious illnesses related to Salmonella infections. It is difficult to know if a product is contaminated with Salmonella because you can’t see, smell or taste it. Don’t soak fresh produce in a sink full of water. Place peeled or cut fruits and vegetables on a separate clean plate. Use paper towels to wipe kitchen surfaces, or change dishcloths daily.